When it comes to garage flooring options, builders and homeowners agree: Epoxy flooring is the best choice. It’s universally considered to be the best garage flooring because it’s more durable and chip-resistant than other types of garage flooring tiles, as well as more affordable. In addition, epoxy flooring is the preferred choice of builders and contractors because of its strength. 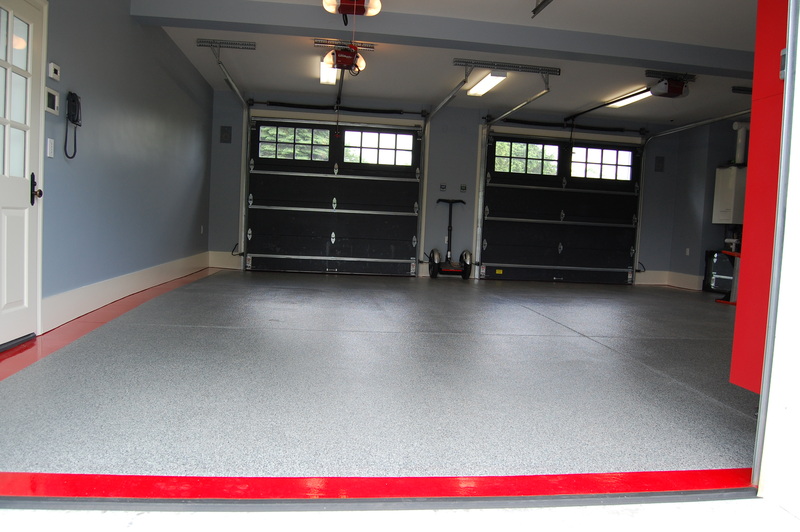 Constructed of multiple layers of industrial-grade resins and hardeners, epoxy garage flooring can sustain the weight of the heaviest custom garage cabinets, storage units and containers as well as the weight of multiple family vehicles, and still last for years before needing to be replaced. Because of these qualities, epoxy flooring is the first choice of millions of homeowners. 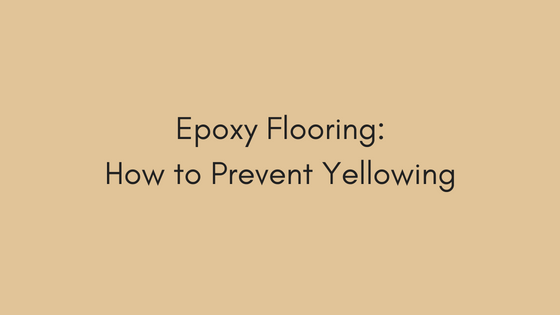 However, flooring specialists are often asked whether or not epoxy flooring will turn yellow over time — and if it does, can anything be done about it? Yellowing is a common, natural phenomenon that occurs with every type of epoxy garage flooring, and it shouldn’t be a cause for concern. This natural process doesn’t signal any imminent damage or corrosion, but is simply a chemical reaction that occurs when the resins are continually exposed to environmental factors such as heat and light. Likewise, if the flooring is made up of resin materials that are past their expiration date, this can accelerate the process as well. The good news is that you can be proactive in slowing down the yellowing process. One of the best ways to do this is to coat your flooring with a clear, aliphatic (non-yellowing), UV-resistant urethane sealer. Before applying the coat, be sure to clean the floor thoroughly to remove dirt, grease and oil. Some homeowners also prefer dulling the surface first with a diamond grinder or sander to create a smoother finish. Once the sealer topcoat is applied, it will not only help slow down the yellowing process, but also help prevent stains and fading. Choose epoxy colors that already contain heavy yellow pigments (such as green shades), or choose a dark color. Avoid using citrus or vinegar-based products to clean your epoxy flooring. These cleaners contain acids that will break down the gloss finish over time. Also, avoid cleaners with a soap base. These will not only leave streaks; they’ll also impart a hazy film on the glossy surface that will be difficult to remove. Whatever type of epoxy flooring you choose, one of the most important things you can do is use safe cleaners that won’t corrode and destroy the natural gloss surface of the epoxy. If you’re interested in finding out about the latest and greatest garage flooring ideas, you’ll want to visit Boston Garage, where you’ll find all the newest epoxy products available, from heavy-duty, industrial-grade flooring in classic designs to high-quality flooring in designer styles and colors. Boston Garage also offers a full range of custom garage cabinets, as well as other innovative types of garage organization systems. While you're on the site, you can fill out a simple form and get a free quote right away. Whether you choose the latest flooring in creative designer patterns, or a traditional high-grade flooring meant for the heaviest of traffic, you’ll find that your epoxy flooring will prove to be a worthwhile investment that will last for years to come.